The pearl of the Mediterranean, unique in many ways, is situated in the south of the Adriatic. It is also a thriving dental services destination. Nowhere else can you find so much natural wealth, beauty, mild beaches, clear lakes, fast rivers, and gorgeous mountains in such a compact area as in Montenegro? Montenegro has changed its name many times, as the name changed, so did the land, thanks to the influence of all the civilizations which for a shorter or longer period settled the territory of Montenegro, turning it into a mosaic of cultural heritage. Even today, Montenegro’s mosaic of cultural heritage is its most valuable aspect. Internet services are provided by Crnogorski Telekom and MTEL. Crnogorski Telekom provides dial-up and ADSL access, while MTEL provides WiMAX access. Mobile cellular services are provided by three GSM operators, Telenor Montenegro (owned by Telenor), T-Mobile Montenegro (owned by Crnogorski Telekom) and m:tel (owned by Telekom Srbija). All providers have national coverage, and provide advanced services. That Old Olive Tree (located in Bar) is one of the oldest trees in the Europe (more than 2,000 years old)? That Montenegro is one of the TOP Tourist destinations? It is important to take care of our teeth. However, the costs of dental procedures can be discouraging. You can get high quality but affordable dental care in Montenegro. Montenegrin dental tourism is flourishing in recent years, due to the reputation of dental clinics who work with best materials and highest standards, offering inexpensive treatments. 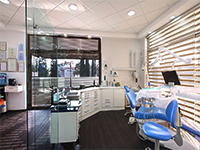 Clinics in Montenegro offer various dental services - dental surgery, dental implants, aesthetic dentistry, dentures, crowns, restorative dentistry, roots canals, etc. Montenegro has got some of the most competent and most experienced dentists in the world. Most of the dentists graduated from the Belgrade Faculty of Dentistry. Quality-cost relation in Montenegro is much more favorable than in the majority of the European countries and Northern America, as well. Dental tourism is a better solution for many people, as it includes both vacation and recreation, at lower price, and they can also get a high-quality service, without waiting for the appointment. The price of the highly-qualified clinics in Montenegro is much lower than in other countries, and it is the reason of the low price of the services that they provide. In many countries health insurance is unreasonably expensive, and the quality is the same as that in Montenegro. There are 2 International airports: Podgorica Airport (TGD) and Tivat Airport (TIV). There is also the International airport of Cilipi Airport (Dubrovnik Airport (DBV)) located in Dubrovnik (Republic of Croatia) in near vicinity of Montenegro (from Cilipi Airport to the border of Montenegro there are only 16 km). Every year, many tourists come to Montenegro with airplanes, so this is one of the most important means of transport for tourists. Another alternative is by water. There are 3 seaports in Montenegro: Port of Bar (Luka Bar), Kotor Harbour and Zelenika. But also, there are many marinas on Montenegro coast. At Montenegrin littoral there are a large number of built marinas offering services to small boats as yachts of medium largeness. Among better equipped and built marinas with all facilities are those in: Ulcinj, Bar, Budva, Tivat, Kotor, Zelenika and Herceg Novi. All year round there are scheduled ferry lines Bar – Bari – Bar and Bar – Ancona – Bar. During summer season the number of lines enlarges and so there are Kotor – Ancona – Kotor and other ferry lines. Kotor – No. 1 Best in Travel City for 2016, for many years attracts large numbers of tourists from all over the world. This fascinating old town is located in a unique bay of Boka. Kotor will tell you about the ancient legends and some amazing stories. We guarantee that you will be impressed with Kotor and whole Boka Kotorska Bay. Budva - Known as the metropolis of tourism, Budva is certainly a city that every tourist must visit. Here, everything is subordinated to tourists and tourism. Beautiful and modern-equipped beaches offer an unforgettable atmosphere. Excellent hotels, villas and apartments, attract tourists to spend their vacation situated in Budva. You can have breakfast in Budva, swim at one of the many beautiful beaches (Mogren, Becici, Fine Sand, Jaz, Trsteno, Sveti Stefan, Budva), then have a lunch on National Park Lovcen or Skadar Lake, and finally enjoy the evening in the grandiose mountains of Durmitor National Park. Sveti Stefan - Once upon a time a small fishing village, over several last decades is one of the most luxurious resorts of the world. Sveti Stefan is tourist place, visited by almost all celebrities and famous people. Connected to the mainland by a narrow trail, surrounded by 2 magnificent sandy beaches and a beautiful park, this picturesque place will provide highest level of service for most demanding tourists. In the immediate vicinity is also “Villa Milocer”, once a royal holiday villa, today luxury small hotel, situated in the beautiful and rich park, close to the “Queen’s beach” – one of the most beautiful small beaches in the world. Perast - is one of the luxury destination in Montenegro, that offers an unforgettable experience. Museums and churches, but above all, the main attraction is the island Our Lady of the Rock – is one of the two islets off the coast of Perast in Bay of Kotor. According to legend, through to centuries, local seamans and sailors, throwing stones into the sea, after finding the icon of Madonna and Child on the rocks in the sea. In this way they made this little artificial island. Lake Skadar National Park - the largest in the Balkans, the only national park dominated by aquatic and wetland ecosystems. With 281 species, Lake Skadar represents an internationally important area for the habitat of many birds. In addition to a rich animal and plant life, Lake Skadar also has a rich history and culture. Numerous archaeological sites, monasteries and churches, fortifications, and the like, will enchant you and certainly attract your attention.